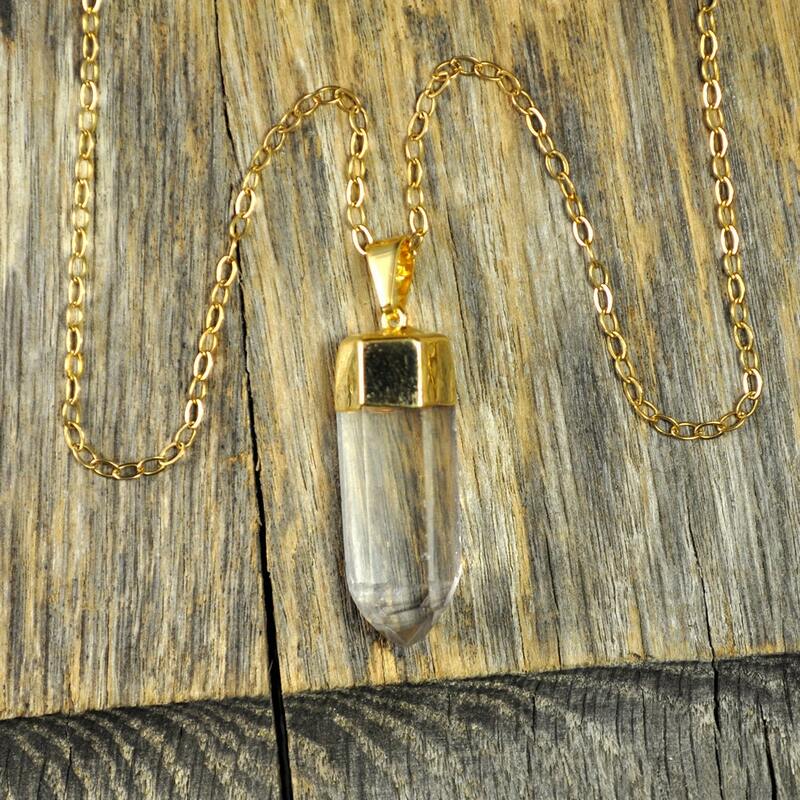 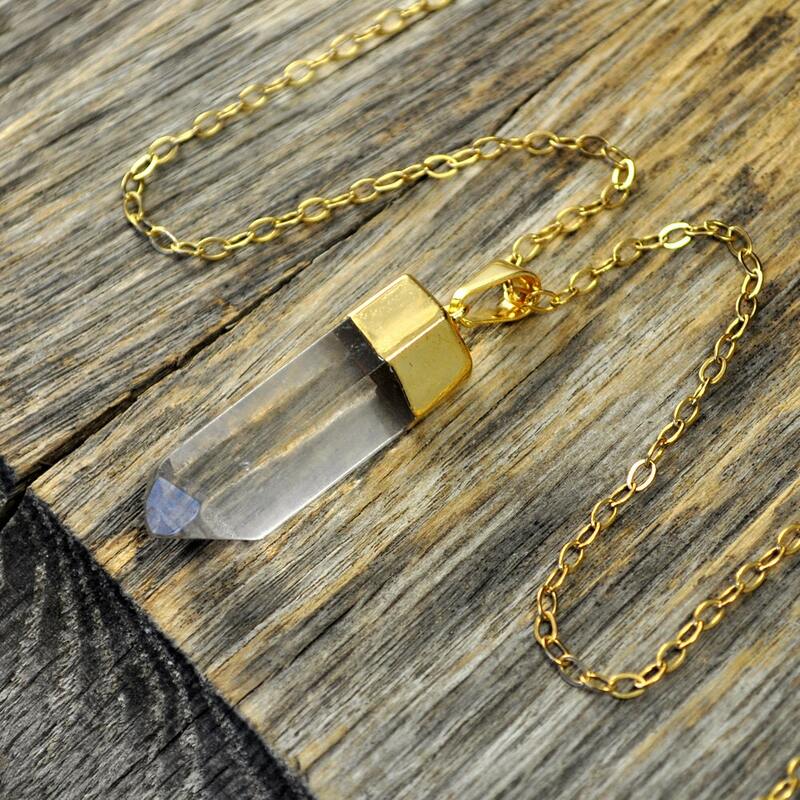 This quality necklace is made out of a pendant of Brazilian super clear quartz crystal with very few imperfections. 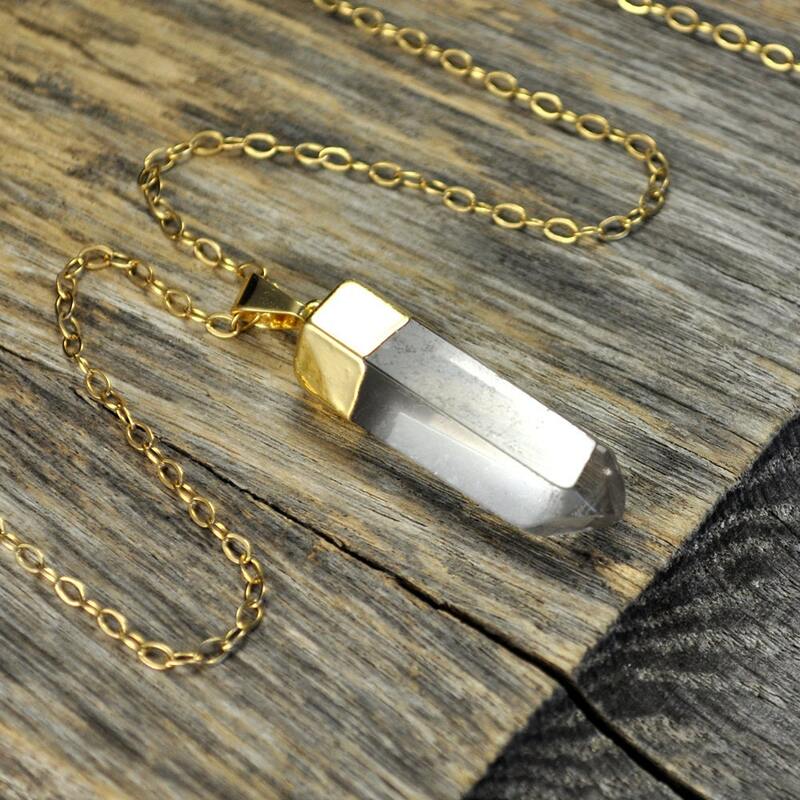 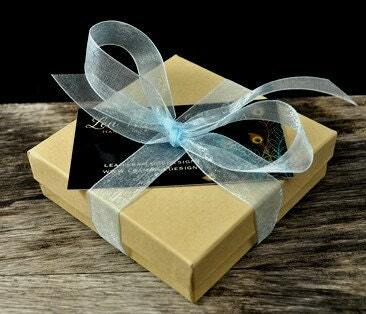 The pendant is 24k gold electroplated with facets shaped to a point. 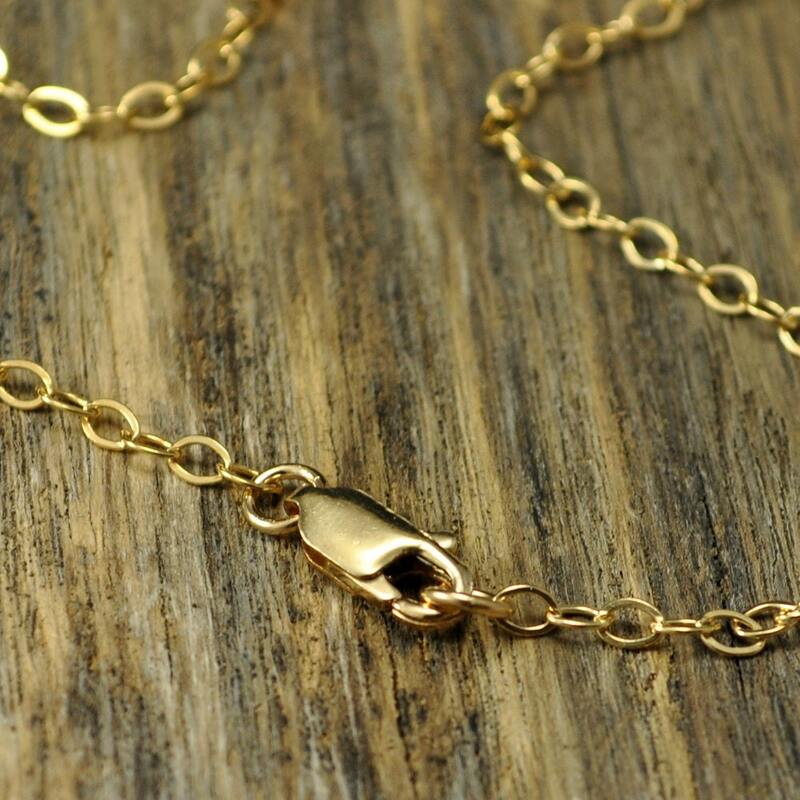 The pendant dangles from a quality sparkly 14k gold fill chain with 14k gold fill lobster clasp.